During the too few summer months in the Upper Peninsula of Michigan, I find myself searching around for inexpensive cigars to accompany me on beach days, mowing the lawn, fishing, and any other adventure that calls my name. A cigar that I am not concerned about if it gets ruined, but also one that I can sit back and enjoy. The struggle is real! 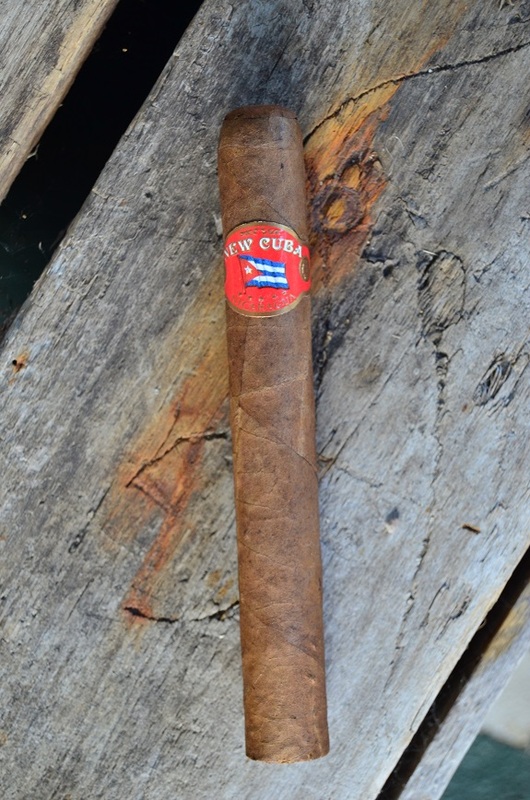 But, hopefully, the New Cuba by AGANORSA Leaf will meet that criteria and I can add a new stick to my summer fun. 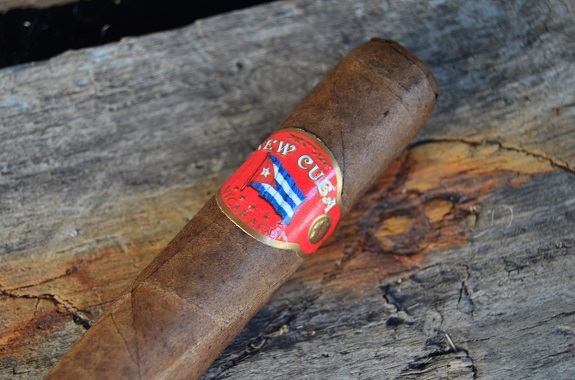 New Cuba is a value-priced line coming out of AGANORSA Leaf, formerly Casa Fernandez. 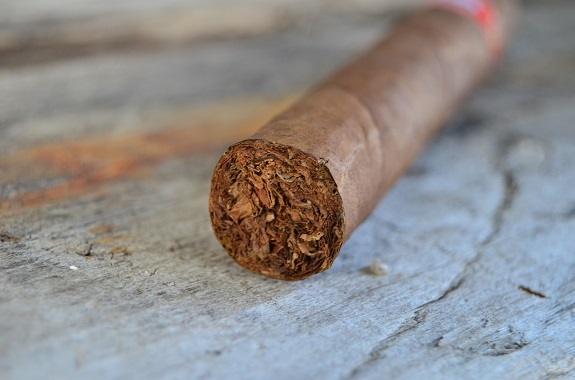 The cigars are produced in Nicaragua in six vitolas: Robusto (5 by 50), Toro (6 by 50), Torpedo (6 by 52), Churchill (7 by 48), Presidente (7 1/2 by 50), and Titan (6 by 60). 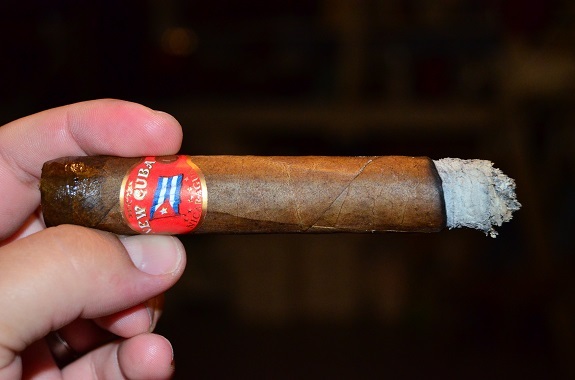 You have two wrapper choices of Nicaraguan Corojo or Ecuadorian Connecticut. These Cuban-sandwich style cigars come in bundles of 25, with the exception of the Titan the is packaged in 15-count bundles. You can purchase the New Cuba Corojo from our good friends over at Famous Smoke Shop. The New Cuba Corojo is dressed in a medium brown wrapper with tons of color variations ranging from light tan to nearly black. The leaf is full of bumps and medium-sized veins. A few of the veins are stitch like in appearance and noticeably lighter in color. The cigar has a slight give as I roll it between my fingers, but it feels evenly filled throughout. A barnyard/manure aroma is found on the wrapper, while warm cedar and pepper come across on the foot. The pepper spice is already tickling my nose. The cap cuts clean and draw resistance is nearly perfect. The cedar transfers to the cold draw with some cinnamon and nutmeg. A light to medium spice is felt on the lips. With this Nicaraguan puro now lit, the smoke easily moves through the New Cuba delivering flavors of cedar, grass, and some sweetness. The pepper is tame in the mouth but present. There is a youngness to the flavors, but nothing offputting. Shortly into the cigar, the cedar evolves into pencil shavings and a more earthy flavor has arrived as well as a thick yeast flavor. An even burn is leaving behind a nice looking white ash. The sweetness has become the dominant flavor, which now more of a caramelized sugar, followed by the pepper and pencil shavings. There is no longer the young quality to the flavors. The pepper is full on the retro-hale, but the associated spice remains on the mild to medium side. The yeast reappears after exiting for the first part of the second third. After two-thirds of nearly perfect burn, a quick touch-up is required as I enter the final third of the cigars. The flavors that are medium/full remain consistent with the prior third with an added charr flavor. The spice heat has steadily increased in the final third and ends in the medium range. 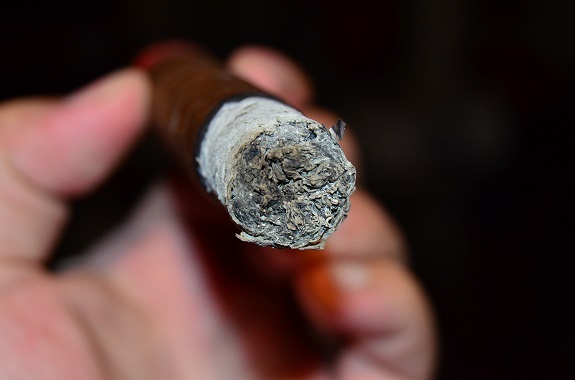 Even with the touch-up, the ash remains pleasant in appearance and the cigar closes out with an even burn. 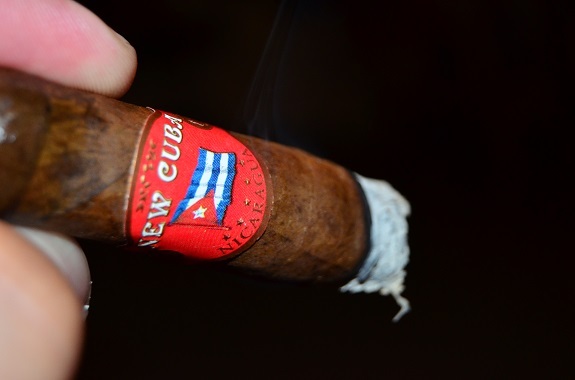 I am completely impressed with the performance of the New Cuba. 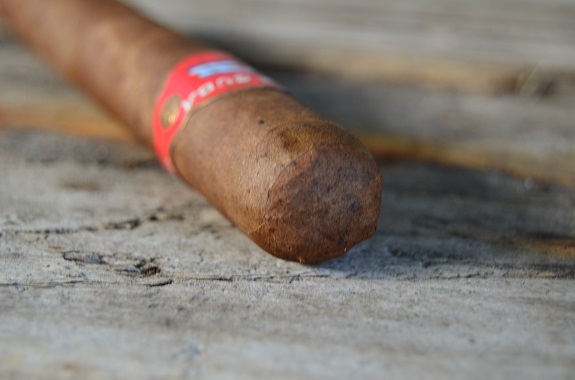 The cigar smoked like a long filler cigar with its even burn and well-holding ash. I didn’t end up with any tobacco pieces in the mouth, which is always a plus! While the flavors presented themselves a bit young at first, the cigar quickly moved to a more mature profile. Even though there was some edginess to some of the flavors, the overall experience was balanced and satisfying. Not overly complex, but still a solid smoke and one that is well worth loading up on a few bundles of.